American employers added 585,000 jobs in November and December of 2014, according to encouraging jobs reports from the Bureau of Labor Statistics. The growth occurred across the board: 139,000 new jobs in professional and business services; 63,400 in retail; 46,000 in manufacturing; and 71,000 in food service. Even construction, which suffered worst during the recession, added 68,000 jobs, driven by new housing activity. Though steady, the recovery remains slow. It took until March 2014 for the economy to replace the 8.8 million jobs that it lost in 2008 and 2009. A healthy economy should add 200,000 new jobs every month, even when it’s not recovering from a recession. By that standard, America should have 133 million people working in the private sector right now, not 118.4 million. So many people have grown discouraged that only 62.7 percent of adults are currently either employed or looking for a job, down from 66 percent in early 2008. And after four and a half years of growth, the economy could be ready for a cyclical recession. The U.S. economy crashed in 2008 because Americans had taken on so much debt that they couldn’t afford to borrow any more. Mortgage debt more than doubled between 2000 and 2007, from $4.8 to $10.6 trillion. Credit-card, auto-loan, and student debt rose by 53 percent. (Inflation rose 20 percent in the same period.) The housing bubble had lulled Americans into thinking that such unsustainable debt was okay. But when the housing market leveled off, starting in 2006, borrowing slowed. In 2008, it stopped. Washington took extraordinary steps to try to revive the economy. The $700 billion Troubled Asset Relief Program (TARP), approved by Congress in the waning days of the George W. Bush administration, is the best known, but Washington’s truly radical post-2008 actions came not from Congress but from the Federal Reserve. “Many of the Fed’s actions were previously unimaginable,” writes Alan Blinder in his 2013 book on the financial crisis, After the Music Stopped. The Princeton economist, who served as the Fed’s vice chairman during the Clinton years, was most startled by the Fed’s role in the rescue of insurance giant AIG. While everyone else was worrying about TARP, he writes, “AIG was, in effect,nationalized by a government agency (the Fed) that had never regulated it and that had not sought congressional approval to do so. Very strange.” AIG outraged the public when it continued to pay employees big bonuses after getting bailed out, but, according to Blinder, “the most seriouseconomic issue” of the bailout was the message it sent investors. Sophisticated lenders to AIG, including Goldman Sachs and other large financial institutions, now know that such borrowers are too big to fail. As Blinder also notes, the Dodd-Frank financial-reform law of 2010 did nothing to stop the Fed from making similar bailouts in the future. Of more immediate consequence for American workers was the Fed’s December 2008 action on interest rates. The Fed slashed rates to zero—lower than they’d ever been in the central bank’s century-long history. “To call such a low interest rate abnormal is an understatement,” Blinder observes. The Fed wanted to get people and businesses to keep borrowing (if they could afford to), in the hope that they could create jobs with their purchases and expansions. The central bank also wanted to deter people from defaulting on their existing debt by making it cheaper to pay back. Reducing mortgage defaults mitigated banks’ losses. Finally, the Fed wanted to encourage investors to borrow inexpensively, making it easier for them to buy fixed assets such as office buildings, apartments, stocks, and bonds. Such purchases push asset prices up, make people feel richer, and spur them to spend more—just as happened during the housing boom. When interest-rate policy failed to do the trick, the Fed started directly purchasing long-term Treasury bonds and home mortgages. In effect, the Fed became an artificially generous lender to replace the financial firms that had stopped lending. By fall 2014, the Fed had nearly quadrupled its assets, to $4.5 trillion, up from $1.2 trillion in mid-2008. These new assets included $1.8 trillion in mortgage securities—representing nearly 19 percent of the entire American mortgage market. Over time, this effort has “worked,” at least on the Fed’s terms. Mortgage rates have never been so low. Home prices stopped falling in 2012 and have gained 25 percent since then, rising seven times as fast as inflation. The stock market has hit record highs. And as house values bounced back, people began spending on cars and other big-ticket goods again, along with services, such as haircuts and babysitting. All the new spending, of course, is creating jobs. 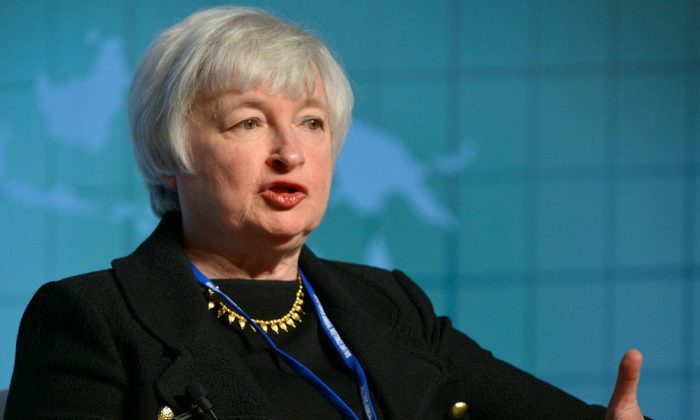 But did the Fed’s approach spare Americans a harsh reckoning, or only delay it? Even after more than $1 trillion in defaults and repayments, Americans still hold twice as much housing debt as they did in 2000. If mortgage debt had merely stayed in line with the growth in other prices instead of outpacing inflation, we’d owe a collective $6.6 trillion today on our houses, not $9.4 trillion. And what happens when mortgage rates rise, or when house prices stagnate or even fall again? We could end up where we were six years ago—with borrowers and lenders alike realizing that they can’t repay their debts. We would do well to heed the warning of William Pesek, a Tokyo-based Bloomberg columnist. In his book Japanization, Pesek notes that Japan never came to terms with its own private-sector debt after its markets crashed 20 years ago. Instead, he writes, “Japan manage[d] to delay painful and destabilizing change by cutting interest rates to zero to stimulate borrowing.” Pesek calls this a “bubble fix”—inflating a new bubble to replace the one that just burst. “By creating the illusion of vibrancy in stocks and real estate, and in turn, entire economies, all this free money does more harm than good,” he contends. Two decades later, Japan still struggles. If American employers keep adding a few hundred thousand workers to their rolls each month in 2015, the Fed may conclude that the economy can finally withstand an interest-rate hike. Raising rates, Blinder cautions, “needs to be done deftly.” Indeed. But if higher interest rates only expose the problems that low interest rates have hidden, even deftness won’t suffice. Nicole Gelinas is a City Journal contributing editor, the Searle Freedom Trust Fellow at the Manhattan Institute, and the author of After the Fall: Saving Capitalism from Wall Street—and Washington. Republished with permission from City Journal. Read the original. What should have been a period of calm before some risk events was anything but, with the PBoC and ECB surprising markets.